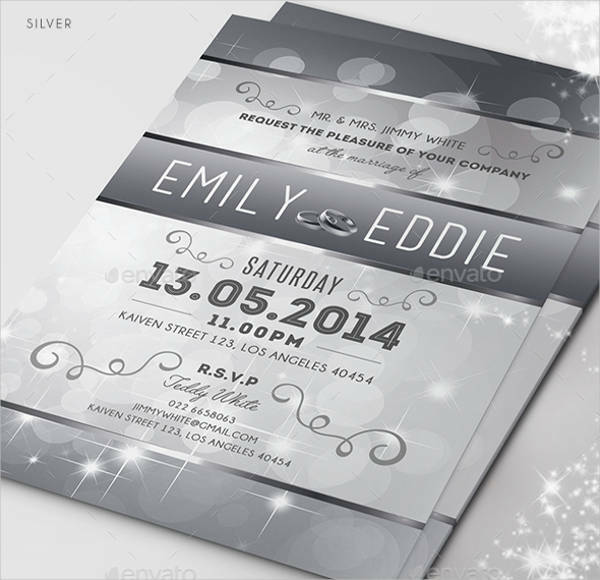 You could never go wrong with adding a touch of sparkle to your invitation designs. It is a fun way to brighten up your cards and liven up the mood of the receiver. In our list of sparkly invitation designs, it features the flashes of light from glitters to the gleam of precious diamonds. It is also available for occasions such as birthdays, weddings, baby and bridal showers. 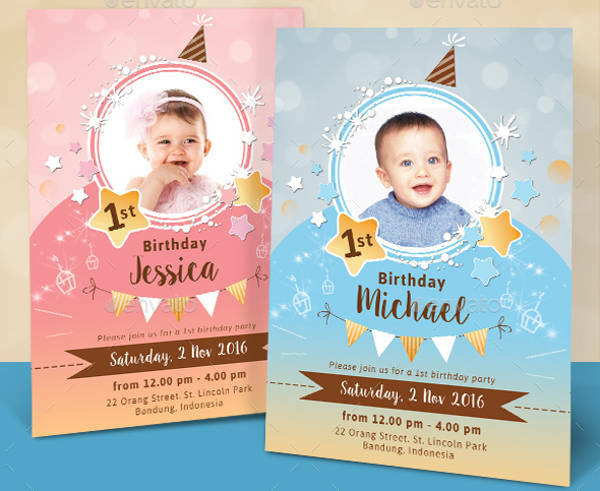 To inspire your creative eye, we have a collection of free party invitations that are provided in a downloadable format and can be easily customized. You can use the collection for your upcoming design projects and future references. You could always start with a simple canvas when creating your invitation design, you can use the Blank Invitation sample. It is sans of any layout, fonts, and details and only the sparkle shines through. 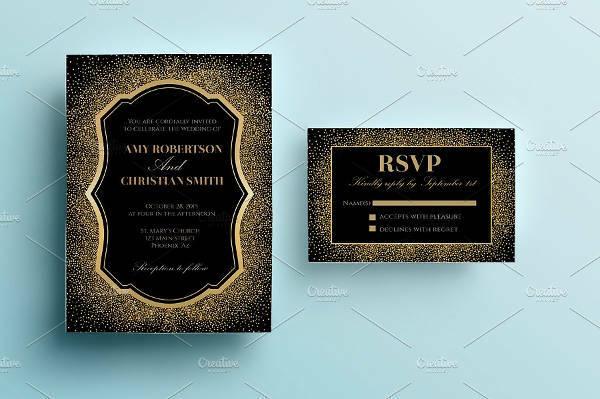 If you are looking for a sparkling design sans the glitter and more of bokeh and light gleams, the Sparkle Wedding Invitation is an absolutely beautiful choice. Plus, this template is available in two color variations, easily customizable and is CMYK print ready. 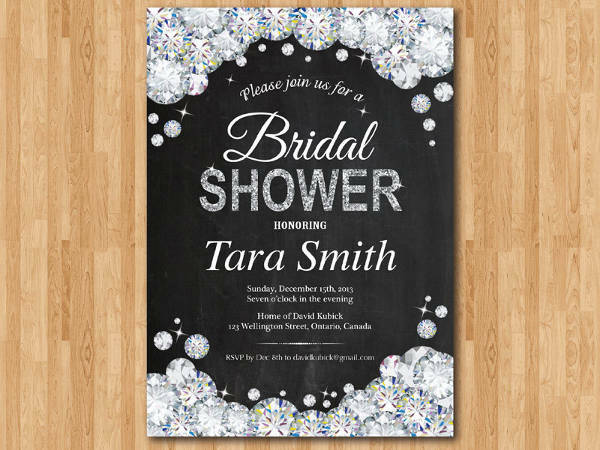 This gem of a design, the Bridal Shower Invitation features a hefty amount of diamonds. 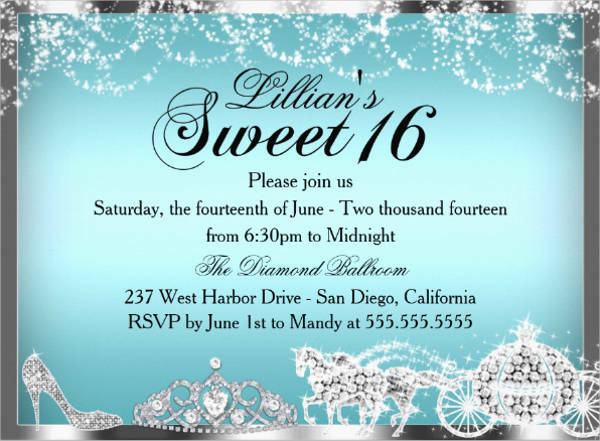 This is a perfect choice to bling up your invitation card and it is provided in a downloadable format and is CMYK print ready. This next invitation design uses bokeh, splatters and sparkle elements and is contrasted with an ombre or gradient in a two-color variation. It also provides a photographic window for an image. If it fits your list, the Photo Invitation is up for grabs. 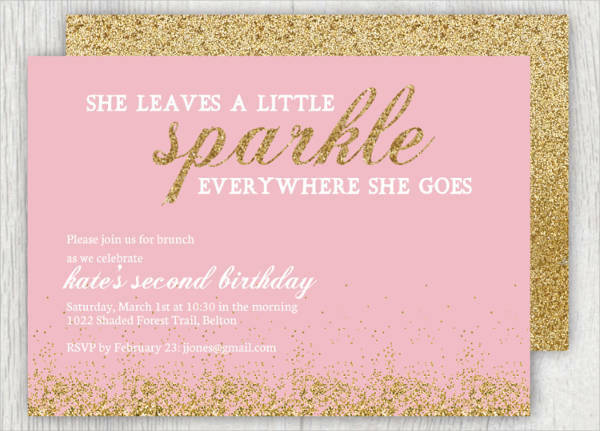 If you need a pink material, girl, then the Baby Shower, Hello Kitty Sparkle Invitation and Glittery Birthday Invitation are your go-to’s. We’ve got you covered with printable invitations to view the different styles in more detail. Why is design important in invitation cards? It is a known fact that people gear towards beautiful images, witty headlines, and taglines feels connected to a funny and relatable video, anything that is aesthetically pleasing and can feel a connection to. You just can’t help but let your attention be grabbed by things done in a creative way. In this case, invitation cards are a visual extension for your event or a special occasion. They give excitement, anticipation, and momentum in advance to the event. It is also a known fact that a mediocre invitation card suggests a mediocre party. So, back it up both ways to really make it worth the time. On the technical side, having a good design creates a proper flow on the layout, theme, and design elements. Also, back it up with accurate event details. Make sure to check the grammar, spelling, sentence constructions and lapses. Invitation cards serve as a guide to guests and having technical errors would result in misunderstanding and confusion. 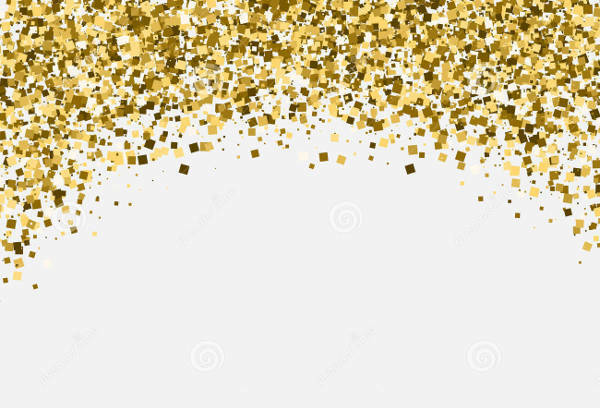 Lucky for you, our list of invitation designs are available to help you get by in case you are having trouble designing your own. To keep your creative juices flowing, have a look at our collection of creative invitation designs. The list offers designs that are out of the box and is surely helpful for your next invitation design project and can be used for future references.